"I’ll admit I was a little sceptical when someone first proposed Stretch Chinos to me, but – not for the first time – I was very, very wrong indeed. These lighter-weight wonders are the comfiest trousers my legs have ever experienced, and the slightly sleeker fit has gone down an absolute treat with Tyrwhitt men around the world." 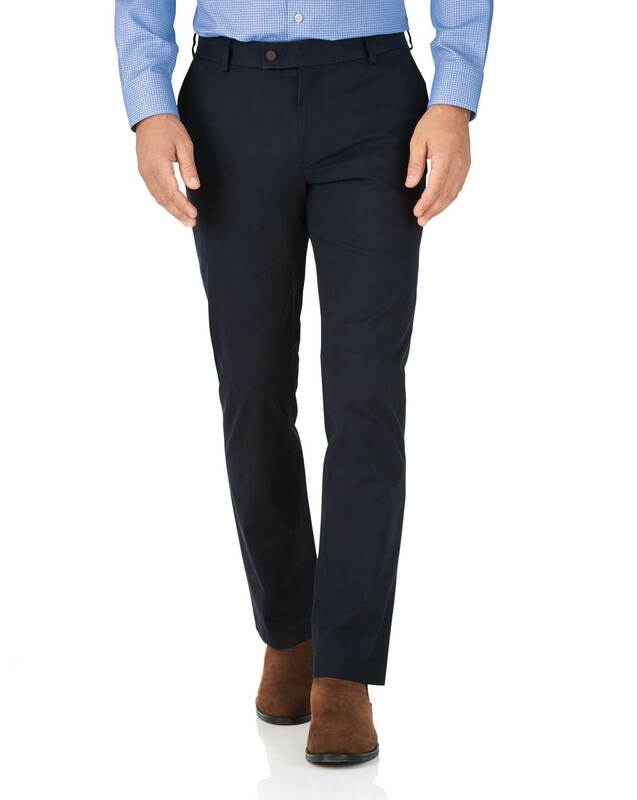 "Tyrwhitt’s smash-hit stretch trousers: offering unparalleled comfort and movement." Very nice weight for summer wearing. Dust stains hard to remove.